There are many great text editors and Office tools that users use for writing every day. However, if you’re a professional writer and you’re writing a script, you might want to use a more sophisticated tool. There are many useful tools that can help you write a script, and today we’re going to show you the best script writing software for Windows 10. What is the best script writing software for Windows 10? Celtx is simple and free script writing software that offers basic features in the Free version. The Free version allows you to import scripts in variety of formats, and there’s also support for mobile devices so you can edit the script even if you’re on the go. The Free version offers only the basic features, but other versions support index cards, auto-formatting and ability to share scripts. The Premium versions also support script revisions, script insights, storyboards, script breakdown, scheduling, etc. Celtx is a solid script writing tool, but in the Free version it offers only the most basic features. We have to mention that Free version is limited to only 3 projects, which is a major limitation in our opinion. As for other versions, they offer more advanced features, but they all come with annually or monthly fee. If you want a professional script writing software, you should consider Final Draft. This is one of the best-selling screenwriting applications in the world, and it works on both Windows and Mac platform. The application allows you to collaborate with another writer in real-time making the writing process faster than before. There’s also a Story Map feature that allows you to outline acts and scenes. Speaking of new features, there’s also a Beat Board and Alternate Dialogue feature as well. We also have to mention that Final Draft comes with 100 different templates you can use for your projects. The application automatically formats and paginates your projects allowing you to focus entirely on writing. There’s also a Formatting Assistant feature that inspects your formatting for any errors. Final Draft also allows you to easily import scripts from other word-processing applications, and thanks to the automatic file backup you won’t lose any unsaved data. The application has a built-in navigator so you can navigate to a specific character or scene with ease. Of course, there’s a scene view and index card feature available as well. To make the writing process faster, there’s a Smart Type feature that will automatically add character names or locations as you type. The application also has a powerful find and replace feature as well as Character Highlighting allowing you to see characters’ dialogues in different colors. Final Draft is an amazing script writing software and it offers a wide array of features for professional screenwriters. The application is available for a free trial, but if you want to continue using it, you’ll need to purchase a license. If you’re looking for a free script writing software, you should seriously consider Trelby. This software is released under GPL license, and it’s available for both Windows and Linux. The application forces the correct script format and pagination, but it also offers auto-completion and spell checking making the writing process more straightforward. Trelby also has several writing views including draft view, WYSIWYG and fullscreen mode. There’s also a built-in name database that has more than 200 000 names from various countries. Another great feature is the ability to compare scripts, so you can easily see changes between two different versions. Trelby supports importing and you can import scripts from Final Draft, Celtx, Fountain, Adobe Story, and Fade In Pro. Of course, several export formats are available so you can easily export your script. Trelby is a great script writing software and it offers solid features to its users. Even though the application doesn’t offer some advanced features like other entries on our list, it’s completely free, so be sure to try it out. 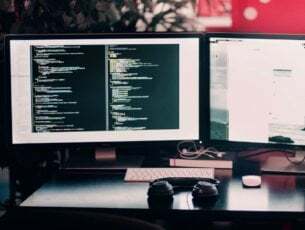 Many applications offer cloud support, and if you’re looking for script writing software with cloud integration, you might want to consider this tool. The application offers industry-standard formatting, page-locking and revision drafts. WriterDuet supports file import so you can easily import files from other script writing applications such as Final Draft, Celtx and Fountain. It’s also worth mentioning that you can import PDF files directly to WriterDuet. Thanks to the cloud support, the application offers collaboration, and you can have any number of writers working on a script at any time. It’s worth mentioning that the application supports index cards as well as revisions, so you can easily revert any change. WriterDuet is a solid application, but the Free version has some limitations. Most notable is the lack of dedicated desktop application, meaning that you can’t edit your script offline with the Free version. This version can also save up to three scripts, which is also a major limitation for some users. On the other hand, The Pro version removes these limitations and it offers both desktop and mobile applications. We also have to mention that the Pro version supports PDF watermarks, auto-save feature as well as Dropbox and Google Drive backups. WriterDuet is a solid application, but if you want to get access to all of its features, you’ll need to purchase the Pro version. Another professional script writing software is Fade In. The application offers great user interface along with cross-platform compatibility, so it will work on all major desktop platforms. In addition to desktop, the application is also available for iOS and Android devices. The application offers extensive formfitting capabilities and it comes with wide range of built-in styles to choose from. To make the writing faster, there’s a built-in autocomplete feature that provides suggestions as you type. The application works with characters and locations, scene intros, scene times and other values. If needed, you can also change the character names automatically from this tool. We have to mention that Fade In supports collaboration, so you can easily work with multiple writers on a single script. In addition to collaboration, the application allows you to insert images to your scripts with ease. There’s also a powerful navigation feature, and you can easily color code certain segments in order to differentiate them more easily. To make the navigation even faster, there are bookmark and linking features allowing you to navigate easily through your script. The application also has no distractions mode that runs the application in fullscreen mode allowing you to focus entirely on your work. As for file compatibility, the application supports Final Draft, Fountain, Scrivener, Adobe Story, and Celtx files. The application fully supports revisions, and you can compare two versions side by side with ease. Fade In is a great script writing application, and it’s perfect for all professional screenwriters. The free demo is available for download, but if you want to continue using the application, you need to purchase the full version. 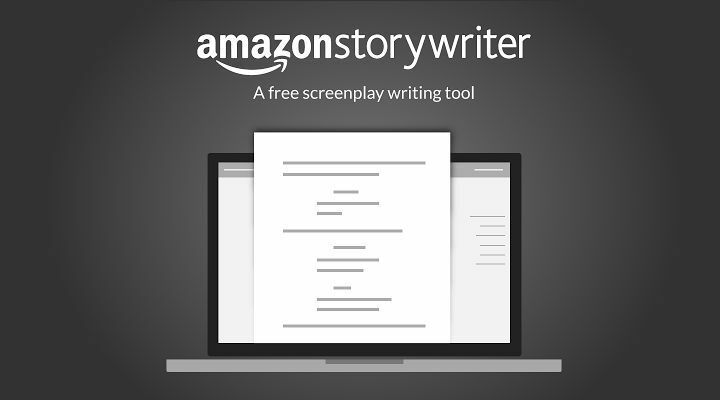 If you need a free script writing software, you might want to consider Amazon Storywriter. Since this is a web application, you can easily share your drafts with trusted readers on any device. The application supports auto-formatting allowing you to fully focus on writing. Even though this is a web service, there’s a Chrome app available that allows you to edit your scripts offline. After connecting to the Internet, your script will be synced automatically with the cloud. Thanks to the cloud support you can access your script with ease on any device. As for file support, the application works with FDX, Fountain, PDF, and RTF format, allowing you to both import and export these types of files. Amazon Storywriter is a solid script writing web application, and with the availability of Google Chrome extension you should be able to use it both offline and online. The application is completely free, so be sure to try it out. Another script writing software that we want to show you is Contour. The application comes from Mariner Software, and it’s available for both Mac and PC. Unlike other script writing apps, Contour allows you to achieve a perfect balance between plot-driven and character-driven storytelling. Thanks to the fill-in-the blanks feature you should be able to easily overcome writer’s blocks with this tool. The application offers several screenplays to choose from, and you can examine them more closely from the application. Contour offers a simple user-interface, and it works a bit different than other entries on our list. 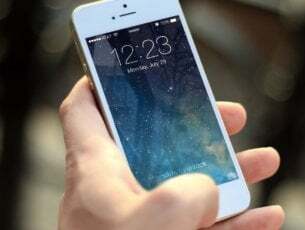 The application is simple to use, but the user interface is slightly outdated and that can be a problem for some users. Despite these minor flaws, this is a unique script writing tool, and it’s available for a free 30-day trial. If you’re looking for a simple script writing software, you should consider Movie Outline. The application is optimized for writing so you won’t have to deal with formatting manually. To speed up the writing process, the application has an auto-complete feature that will suggest character names, scenes and transitions as you write. The application has index cards and thanks to the drag and drop feature you can easily organize your storyline. There’s also a Character Profile Wizard that allows you to design your characters in great detail. In order to create believable characters, the application allows you to focus on character’s dialogue with Dialogue Spotlight feature. Thanks to this feature, you can easily isolate character’s dialogue and focus on it. The application also has an integrated structuring tools that allow you to color code different acts, chapters or characters in order to differentiate them more easily. The application also offers famous movie breakdowns allowing you to easily analyze them. Movie Outline is a solid script writing application and it’s available for Windows and Mac OS. The application is available for a free trial, but if you want to continue using it, you’ll need to purchase a license. Another great script writing software that we want to mention is Movie Magic Screenwriter 6. 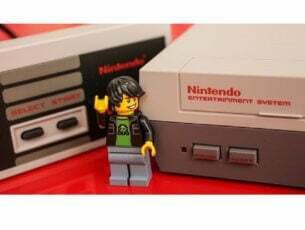 According to the developers, the application is rather simple to use, so you won’t have any issues with it even if you’re a first-time user. The application offers over 100 templates to choose from and you can use them as an outline or for inspiration. Other features include spell check dictionaries for several major languages as well as Import Text Feature that allows you to import scripts written in Microsoft Word or any other application. Of course, the application supports exporting and you can easily export your script to PDF or other formats. In addition, there’s an Auto Backup feature as well as online collaboration tool built-in. The application allows you to easily navigate through your script using the NaviDock feature. Thanks to this feature, you can navigate using outlines, scenes, notes or bookmarks. Movie Magic Screenwriter also supports outlining and you can create multi-depth outlines by combining different fonts and colors. In addition, the application supports notes and different note categories allowing you to easily organize them. There’s also support for importing allowing you to import scripts from PDF files and other word processing programs. We also have to mention that the application is fully compatible with tools such as Dramatica Pro and Outline 4D. Movie Magic Screenwriter 6 is a great script writing software and it’s available on both Mac and PC platform. The free demo is available for download, but if you want to continue using it, you’ll need to obtain a license. Another great script writing software that we want to show you is Scrivener. This tool is optimized for researching so you can easily structure your ideas and take notes as you write your script. The application will organize all your notes and research materials, and you can navigate through them with ease. It’s worth mentioning that Scrivener allows you to break your document into smaller segments so you can stay organized and focused. The application also supports “Scrivenings” feature allowing you to work on multiple sections of your document. It’s worth mentioning that the application supports all standard text processing elements including tables, images, lists, etc. Scrivener also supports formatting and you can format your text as you type, or format it as a whole after you’re done. The application supports index cards and you can easily organize them while writing your script. As for exporting, the application supports Word, RTF, PDF and HTML formats and there’s also support for self-publish formats such as ePub or Kindle. Scrivener offers great scriptwriting features, and the application fully supports revisions in terms of snapshots. Of course, there’s also a full-screen mode that allows you to write without distractions. Scrivener is a solid script writing software, and it offers wide array of features. In addition to script writing, you can use this tool as a standard text editor with focus on research. The application is available for a free trial for both Mac and PC, so feel free to try it out. If you’re looking for a powerful script writing software with extensive features, you should check out Story Touch. The application offers graphs and color pallets that allow you to analyze your script with ease. Thanks to this feature you can follow your characters through entire story and see the emotion of the overall story on a graph. In addition, you can also create obstacles and goals for each character. There’s also a scenes window that allows you to navigate through acts and sequences of your script with ease. In addition, you can easily navigate to a specific time or page and follow the rhythm of the story. Story Touch is a unique tool that allows you to analyze your script in great detail. Even though this can be rather useful, some users might find it a bit overwhelming. There are two versions available, Basic and Top, and while Basic version is completely free it comes with certain limitations in terms of features. Nevertheless, this is a unique script writing software and you should definitely try it out. As for availability, the application is available for both Mac and PC platform. Another solid script writing software that we want to mention is DramaQueen. This tool allows you to seamlessly switch between three different text levels. Thanks to this feature you can easily switch between the script, synopsis and the concept. It’s worth mentioning that the application has a dedicated idea panel so you can easily organize your thoughts or write notes. 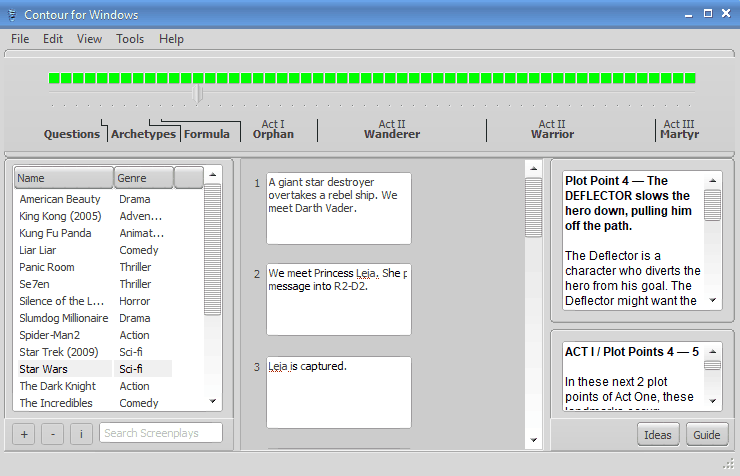 DramaQueen also offers outline panel allowing you to easily see story steps and scenes of a specific storyline. In addition, you can have multiple storylines opened in different panels and compare them easily. The application fully supports script formatting standards, but you can also customize your script format. Thanks to the auto-formatting feature, you can focus entirely on writing and leave the formatting to the application. It’s worth mentioning that the application has a character-panel that allows you to enter all character traits and information. Thanks to this feature you can keep a close eye on your characters and never forget important information about them. DramaQueen also has an Outline panel that allows you to divide the story into acts, chapters or sequences in order to organize it better. As for file import, the application allows importing from PDF, Word, Final Draft, TXT and RTF files. In terms of file export, the application supports Word, PDF, EPUB, Final Draft and RTF format. DramaQueen is a solid script writing software and it comes in several different versions. There’s a Free version available, but it comes with limited features. If you want to unlock all features, you should consider purchasing Plus or Pro version. Writing a script isn’t always easy, but you can simplify this process by using the appropriate tool. There are many great script writing applications, both free and paid, so feel free to try any of these applications from our list.